EUR/USD After rebounding from the level of 78.6%, the market started moving downwards. Right now, the pair is being corrected, but may start a new descending movement during the next several hours. The first target for the bears is the level of 38.2%. 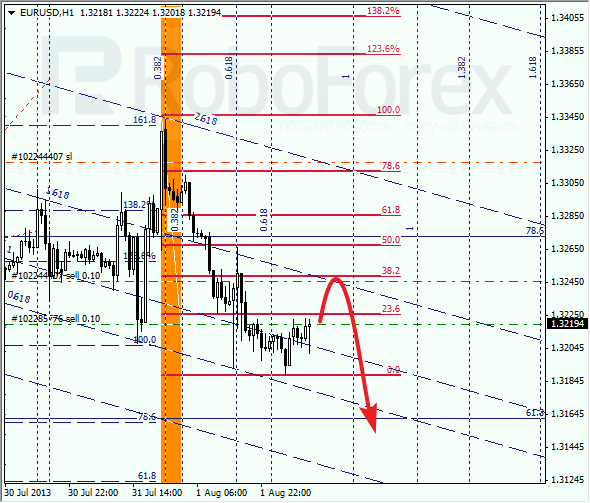 At the H1 chart, the temporary fibo-zones the exact area, where the previous ascending movement was finished. Most likely, the current correction will reach the level of 38.2%. If Euro rebounds from this level, the bears will start a new descending movement. 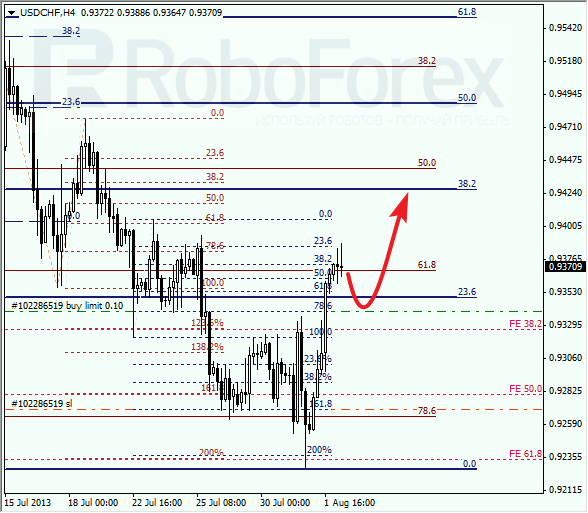 After rebounding from the level of 78.6%, Franc started moving upwards quite fast. There is a possibility that the pair may start a correction, after which I’m planning to open long positions. Later the price may reach the level of 38.2%. The temporary fibo-zones indicated the exact point of a reverse. It looks like the price is starting a new correction. 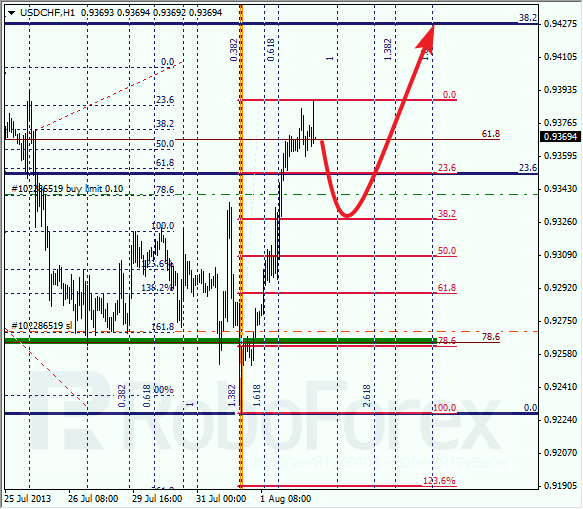 If later the pair rebounds from the level of 38.2%, the market will start a new ascending movement.